Coming home to this Victorian home would be fun! When I was writing this Victorian home article, I debated whether to use ‘Exquisite ‘ in the title line above or ‘Treasured’ as an adjective. Every time I see a beautiful Victorian home, whether in Denver, Atlanta or Madison, GA, I think someone built their dream; not a home, but a dream. This seems to be a home design that is fanciful, beautiful, playful, colorful, castle-like – in short, the gamut of your imagination! Strictly speaking, a Victorian house generally means any house built during the reign of Queen Victoria (1837—1901), and it is not a style as such, but a time period. These homes are usually two or three stories high, but can be a cottage as well. There were so many schools or styles during Queen Victoria’s reign that converged together, like Wikipedia stated “Victorian architecture generally describes styles that were most popular between 1860 and 1900. A list of these styles most commonly includes Second Empire (1855–85), Stick-Eastlake (1860–ca. 1890), Queen Anne (1880–1910), Richardsonian Romanesque (1880–1900), and Shingle (1880–1900).” These homes stayed so popular, that throughout the 20th Century and into the 21st, homes were designed and built by the inspirations of the earlier homes. Denver has a fabulous selection of these treasured Victorian masterpieces available for sale as you will see in the Victorian home listings. 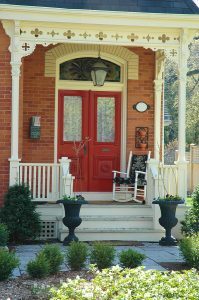 The Victorian ‘era’ style is so popular that there is second Victorian home search below, as there are many beautiful Victorian ‘era’ style homes built since 1940 and they continue to be designed and built. It appears that nothing quite captures the imagination like the Victorian dream home style!